Washington Capitals players, coaches and owner Ted Leonsis were honored at Saturday’s afternoon game where the Nationals took on the Giants. WASHINGTON — Capitals captain Alex Ovechkin threw Saturday’s ceremonial first pitch at the Washington Nationals game — and then he threw the second. The newly-minted Stanley Cup champion lobbed his first throw over the head of pitcher Max Scherzer who waited at home plate. But he got another chance and tossed it right into the waiting three-time Cy Young Award-winner’s glove. The Conn Smythe Trophy winner, his teammates, coaches and Capitals owner Ted Leonsis were honored at Saturday’s afternoon game where the Nationals took on the Giants. 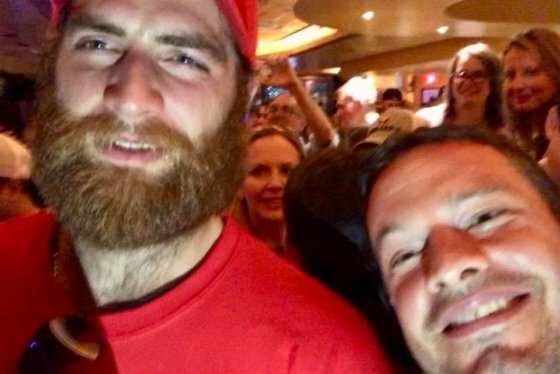 The Washington Capitals have been celebrating winning the Stanley Cup since the final game in Las Vegas, Nevada, and parties have continued in D.C. all weekend long. See photos and videos of the celebrations. The team got loud cheers from the crowd, which got even louder as Ovechkin, wearing a white Nationals jersey with his captain’s “C” on the front and his No. 8 on the back, hoisted the Stanley Cup above his head in the infield. The Stanley Cup champions arrived back in Washington to a hero’s welcome Friday, and have been on tour around the city showing off their new hardware ever since. Ovechkin said the reality of winning the championship still hasn’t set in during a Saturday press conference. “I still can’t believe it, I think no one still can believe we did, and we are now Stanley Cup champions,” he said. Defenseman John Carlson said his team got extra motivation during the playoff run from enthusiastic supporters in the District. “I think we deserve it and so do the fans,” he said. The Nationals currently sit at the top of the East division of the National League, and are expected to make a run in the playoffs. Capitals center Nicklas Backstrom said he and his teammates will be cheering on the Nats as they make their own bid at a championship.